Buzzwords are the core of sports journalism nowadays. Networks use them, sports “analysts” use them – even fanbases are now accepting them There is one word that should never be involved in the same sentence involving the Green Bay Packers. Never. It was a simpler time back when fanbases believed that word was on the scale of a curse word but now you can peruse Packers Twitter where fans believe that the 2018 Packers should now torpedo the season and hope for a high draft pick. Coming from a man who knows what being in a locker room, talking to a coach or a player. I dare you to ask a professional athlete if they are tanking. Better have a handkerchief ready to wipe off the verbal spew they spill at you. The Packers are not going to tank. Just because the Packers fired head coach Mike McCarthy midway through the season doesn’t mean a respected front office like Green Bay was planning to lose out. Even to a point where some don’t want to give Joe Philbin a chance because they prematurely do not want him as a head coach. Here’s a paper bag to breathe it, nice and slow. Philbin will be interviewed as an internal candidate whether you like it or not. It’s good business, but in this 24/7 media cycle where being first is more important than being right. I’m not surprised. I explained in last week’s article what one win can do for a team going forward with three games left. 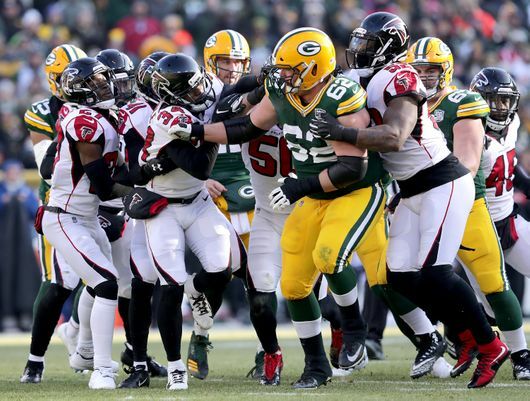 Even after knocking off the rudderless Falcons 34-20 at Lambeau last Sunday, fans stay divided. Absurd trade and coaching rumors continue to blossom. On a Packers postgame radio show on WTMJ in Milwaukee, there was a caller who thought what if they used Aaron Rodgers as a trading chip. Leading to host Greg Matzek and former Packers offensive lineman Mark Tauscher responding with humor and eye-rolling verbal annoyance to the absurdity of that idea. I’ll repeat again, the Packers are not tanking. Yes, they are hanging on to a playoff chance that is the size of a single fingernail. According to Football Outsiders, Green Bay has a six percent chance of making the playoffs. It is not a crazy thought for a team that has quarterback Aaron Rodgers, a strong running game and a rejuvenated team spirit. Their next opponent, the first-place Chicago Bears (regardless of location), the Packers are 15-2 since Jan 2011 against the Bears. It is also the “oldest rivalry in the NFL” where both defenses are tied for fourth in sacks with 40 a piece. Yeah, that’s right…a makeshift and banged up defense has the same amount of sacks as one of the best defenses in football (Chris Simms analogy moment). Even if the Packers do lose on Sunday (yes, it could happen), I know the head coaching rumors won’t stop. Thank goodness that Jim Harbaugh, recently fired Vikings offensive coordinator John DeFilippo is off the list. Doesn’t mean the season is done, the playoffs would be lost though. They still will play out the season at the Jets and finish at Lambeau against the hapless Lions. Remind yourself before you mention the word, “tanking” and the Green Bay Packers in the same sentence that you do not understand that it is a team in transition, where veterans are playing for their jobs, rookies are proving they belong on the roster through 2019 and coaches on both sides of the ball are working hard to keep from the pink slips awaiting on their desks come January 2019. At the end of the day, we do not know what the Packers will do until the season is done. 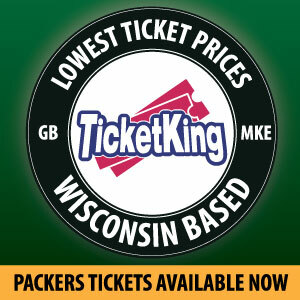 …the Packers are not tanking. This entry was posted in Authors, Jake Turner, Packers 2018-2019 Season and tagged Aaron Rodgers, Brian Gutekunst, Green Bay Packers, Head Coach, Joe Philbin, NFC North, nottanking, Packers 2018-19 season, Playoffs, tanking. Bookmark the permalink. Obviously we want to see good games where the players are playing their best football, but if they fall to 5-8-1 after this weekend, they have a 0% chance to make the playoffs. In that case, as a fan, it would make sense to hope they lose to the Jets and Lions (two teams currently challenging them for a better draft pick).